You can do it using a simple technique, because your subconscious is a better manager then any CEO. This woman knows even the smallest movements, gestures, and postures women use in their everyday lives. 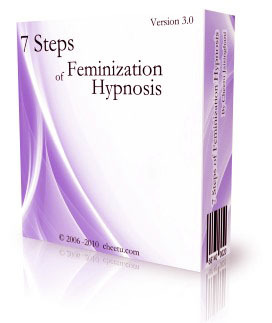 For women, too, all this comes from their subconscious - they do not spend a moment consciously thinking about it. Where people get suspicious because some small aspects of femininity are missing in your behavior. Tiny eye movements, hand gestures, inflections in your voice. But don’t worry. As I said, all you have to do is allow your subconscious to take over, and it will integrate all details big and small it has ever recorded about being a woman, and put them together, creating a natural,completely integrated inner woman for you. Trust me your subconscious will not miss a single aspect. And joyful about their appearance because they tend to put a lot of effort into their looks. When you are one with yourself, your inner woman will allow you to enjoy yourself doing all these feminine things. Lean how your inner woman helps you combine all your knowledge about femininity into a single unit, which will let you naturally walk, talk, and feel like a woman.